HOUSTON � After their first loss Sunday, the Apollos got back on the winning track Tuesday by finally getting some offensive production. Houston belted out 14 hits � including three doubles and a home run � in an 11-5 victory over the Vaqueros. 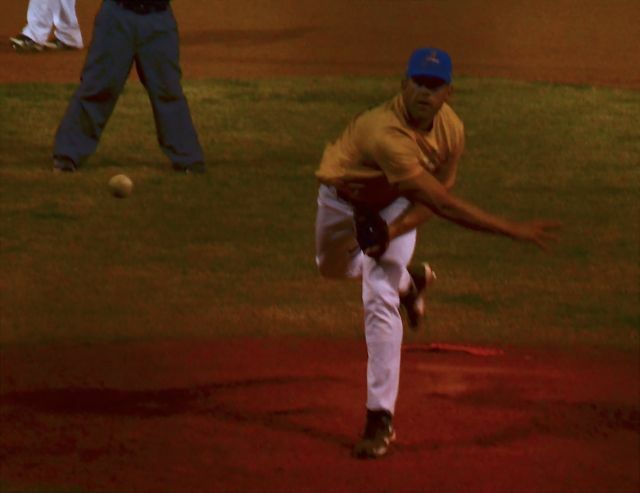 The Apollos didn�t waste any time in scoring, going up 2-0 in the first off Las Cruces starter Jeff Goulet. With one out, Hunt walked, Andrew Azzopardi singled and Ruben Rijkhof reached on an error. Hunt and Rijkhof came around to score. Houston added two runs in the second when, with two outs, Larry Rodriguez singled and Wilson, the Apollo starter, reached on an error. The pair came in on a single by Hunt, and the rout was on. 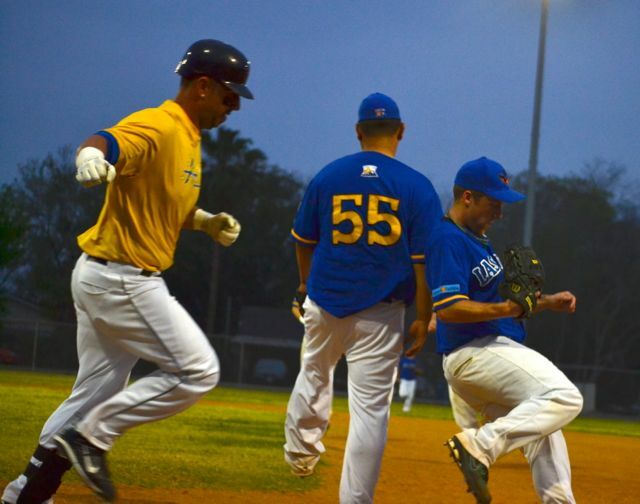 The Vaqueros finally scored in the third when Brandon Brown singled, Travis Fuquay doubled, Cody Langham walked and an Effrain Gacia single scored two. But after a scoreless fourth, Houston added three more in the fifth � on doubles by Matt Leahy and reliever Powers, a single by Iguess and a walk to Zach Dandrea � three in the sixth � on another Hunt single, walks to Azzopardi and Rijkhof and a 2 RBI double by Iguess � and a final run in the seventh on Hunt�s home run. 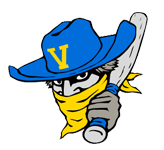 The Vaqueros got one run in the fifth when Fuquay walked and came all the way around on a series of wild pitches by Powers, and a final two in the sixth, when Dylan Stone singled and Goulet walked, with Stone coming in on a Fuquay single and Goulet on a wild pitch. 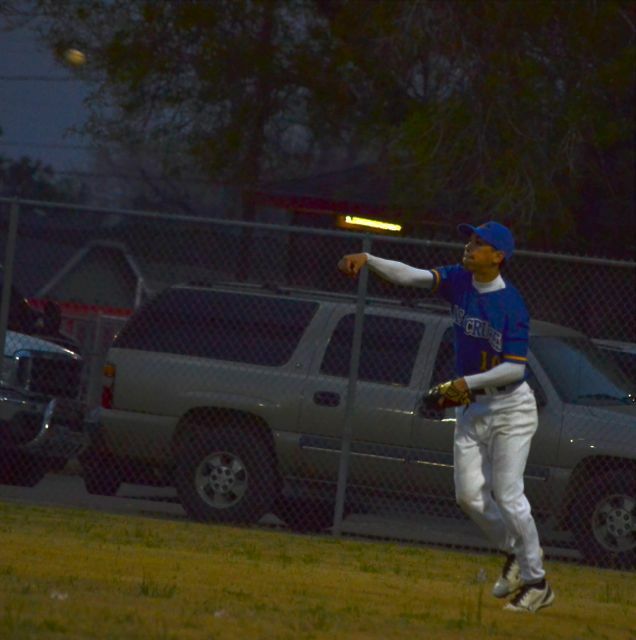 Once again, mistakes seemed to plague the Vaqueros � they had three errors. 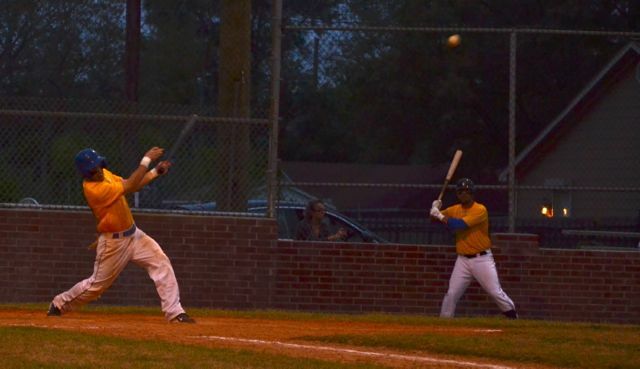 left seven runners on base and struck out eight times � but after once again praising his pitchers � Goulet and Ziegler in relief � manager Casey Dill looked for a few more plusses. Besides Hunt (3-for-3 with 3 RBI, four runs and a homer), Iguess was 3-for-4 with one run and RBI and Leahy 2-for-5 with two runs scored. Fuquay led the Vaqueros, going 3-for-3 with two runs and an RBI; Garcia was 2-for-4 with 2 RBI, and each batter had a double. Las Cruces takes on the Gears Thursday at 1 p.m. at Coastal Ball Park with Houston facing the Sea Lionbs. �We�ll be ready for Galveston on Thursday with Kinzell again, so we�re back at it,� Dunn said. Matt Hunt led the Apollos with a 3-for-3 performance, including a homer. Vaquero starter Jeff Goulet gets the out on Andrew Azzopardi all alone. Jacob Alastra makes a throw from right field. Mike Wilson was the starter and winner for the Apollos. 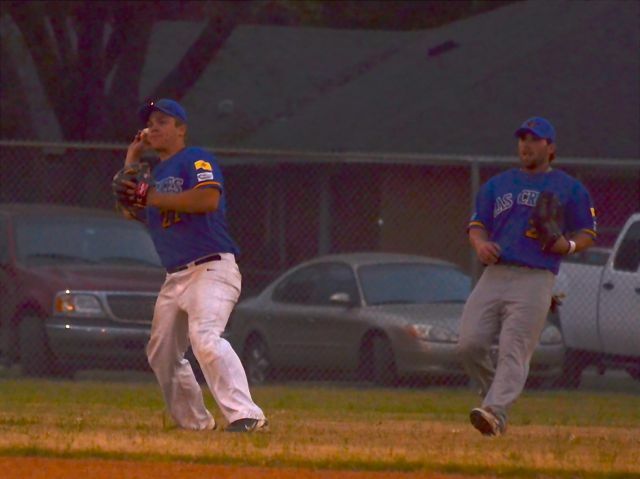 Blake Babnick makes the throw from second, backed up by Travis Fuquay.